1. Amarula Liquor – I discovered this delicious stuff on my last cruise with Hubs, and while it is a taste-relative of Bailey’s, it’s made from the fruit of the marula tree (also called the elephant tree, or the marriage tree) and a dash of sugar. What better to add to your sweet adult drink? A shot will do ya. YUM! 3. Orange Extract – This organic extract is also under $4, and adds a slight citrus flavor to your drink. It’s much like those chocolate oranges that grace your stocking during the holidays – yum! 4. Dash of Sea Salt – People use it in boxed chocolates, cupcakes, and truffles. Why not add a dash to your hot chocolate?! Remember that a little goes a long way with this sea salt, so dash carefully and enjoy! 5. Candy Cane STRAWS: Use these nifty candy cane straws for a sweet holiday taste in your hot chocolate – it ends up being like peppermint chocolate bark in a cup! It also doubles as a super fun teacher gift or stocking stuffer with a box of your favorite hot cocoa. *affiliate links used. If you click and purchase within 24 hours, I get a few cents. Thanks for helping fund the blog! The Sippy Cup – He DID IT!! I like all of these. Sometimes I toss a Reese’s Peanut Butter Cup in mine. That is really good, too! Yum. I love the sea salt recommendation- I LOVE salted caramel hot chocolates from Starbucks so I really want to try them myself now! Candy cane straws sound delicious. I love these ideas. I love that liquor is number one! Haha, that’s how I like to enhance my hot chocolate! I’d like to try the sea salt too! I never thought of using sea salt for my hit chocolate. That sounds delicious! The candy cane straws will be happening. That I know for sure! Oh I’ve never thought about adding extracts to my coffee! I have some peppermint extract and regular mint too! Ok, if you insist! 🙂 I have never tried doing any of this but I will now! Um…yummy! I have never even thought of putting anything in my hot chocolate other than marshmallows or whip cream, and now I have all these new yummy flavors to try. I have lost all respect for you not even making the slightest mention of whipped cream! No hot chocolate is complete without it. PS…I will take mine with peppermint extract, a candy cane straw and whipped cream! Yummy! I have been using the flavored marshmallows we picked up at Christmas time. I will be trying some of these ideas though because I love to add to my hot chocolate! Ahhhh! Hot chocolate made better. I love to drop a peppermint, a butterscotch, or even a couple cinnamon candies in my cocoa from time to time. Oh my goodness, my girls are making me a shopping list as we speak. I love the orange extract idea, but they all sound super yummy. 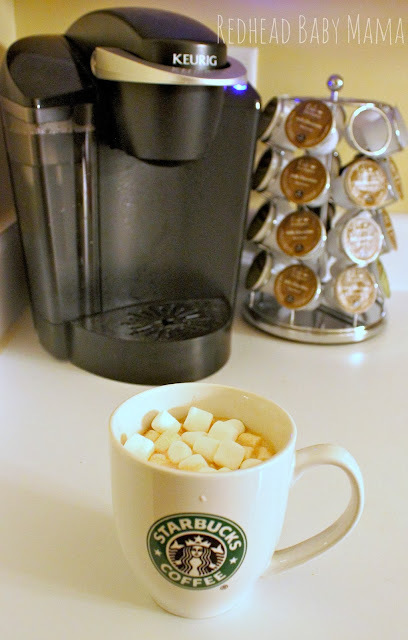 After all this snow I totally need some hot cocoa inspiration! I love the peppermint idea! Oh I bet the orange extract is awesome. Great ideas thanks. I love using a peppermint sticks as a hot chocolate stirrer! I’ve also used chocolate milk instead of regular milk before which was odd but after a few sips it grew on me. These are some great ideas for kicking hot chocolate up a notch. My favorite is the orange extract. Those are great ideas! I love hot chocolate but I am also pretty boring about it because I usually just use marshmallows and chocolate chips! I love to enhance my hot chocolate. You have me wanting to make some right now. I usually make my hot chocolate with water, add about a tablespoon of milk and throw in some marshmallows. Don’t disown me! 🙂 Whipped cream is a classic for me!